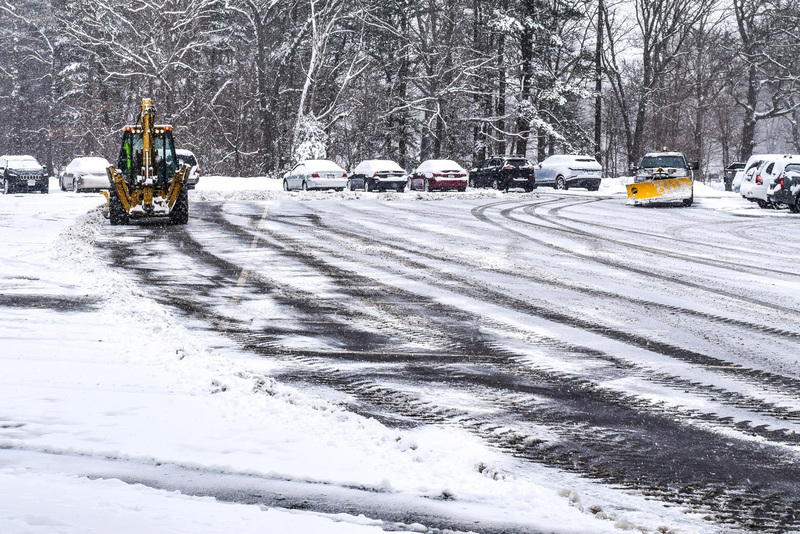 Snow cleanup was continued throughout the day in the Town Hall parking lot in Halifax. 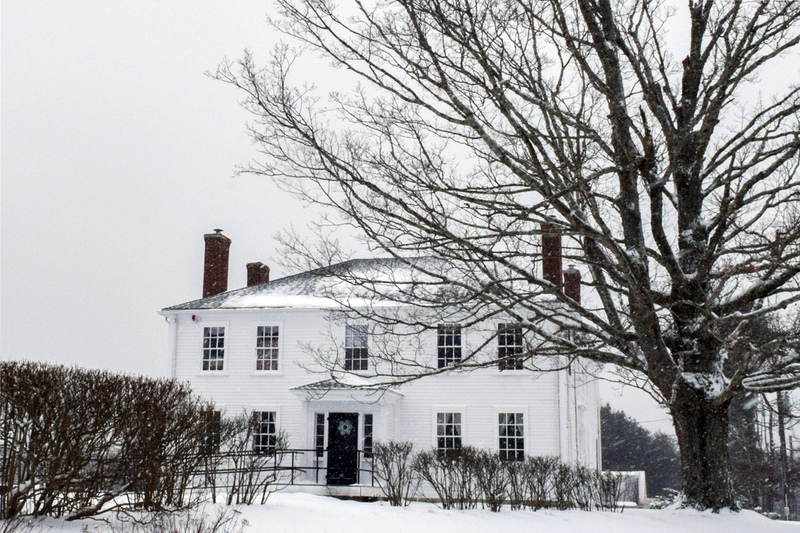 Falling snow through the day on Jan 30 created a postcard effect for the Pope Tavern senior center in the center of town. 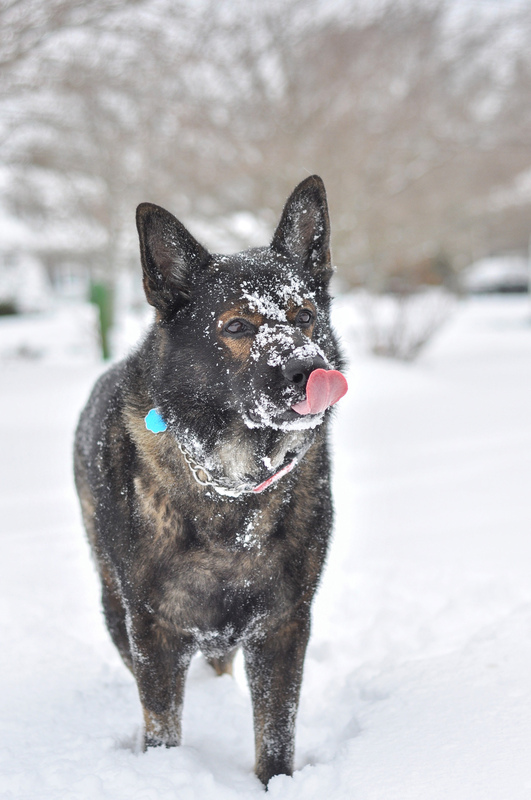 Ryder, a seven year old German Shepard played in the snow while his person shoveled on Orchard Circle in Halifax. Love was in the air despite the cold and snow. 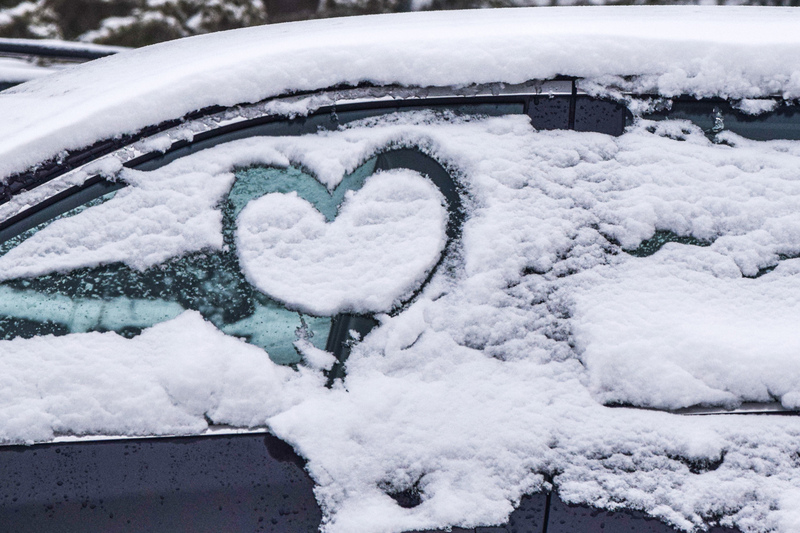 A car in Halifax had a snow heart melting on the window. 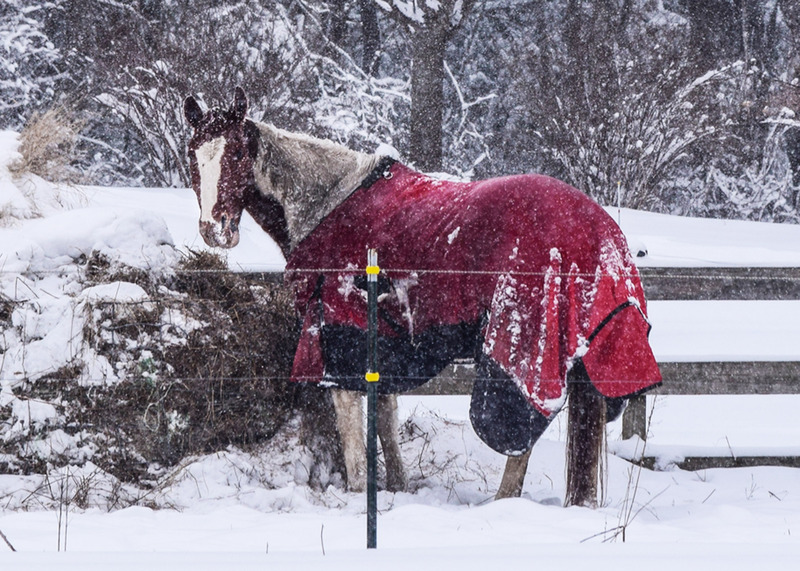 A horse in a bright red turnout blanket stood out in the falling snow on Mayflower Road in Plympton on Tuesday.